Submitted photo Can you identify the location of this photo and what year it was taken? Submit your answers or share a story about it on social media: Instagram - @xenia_gazette; Twitter - @xeniagazette or Facebook - @XeniaGazette. On Saturday we will reveal what we know about this photo. Can you identify the location of this photo and what year it was taken? Submit your answers or share a story about it on social media: Instagram – @xenia_gazette; Twitter – @xeniagazette or Facebook – @XeniaGazette. On Saturday we will reveal what we know about this photo. Submitted photo Can you identify the location of this photo and what year it was taken? Submit your answers or share a story about it on social media: Instagram – @xenia_gazette; Twitter – @xeniagazette or Facebook – @XeniaGazette. On Saturday we will reveal what we know about this photo. 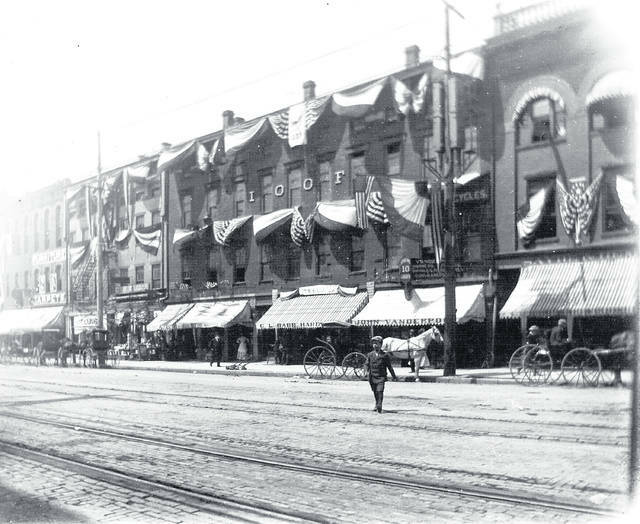 https://www.xeniagazette.com/wp-content/uploads/sites/32/2018/07/web1_Detroit-St-1910.jpgSubmitted photo Can you identify the location of this photo and what year it was taken? Submit your answers or share a story about it on social media: Instagram – @xenia_gazette; Twitter – @xeniagazette or Facebook – @XeniaGazette. On Saturday we will reveal what we know about this photo.